On our final day in Washington we decided to finish our museum journey at the National Portrait Gallery. My main motivation for visiting was to see the portrait of Benjamin Franklin and pose with the same judgemental smirk on my face. Now my motives are clear, I want to quickly add that as soon as we entered the gallery, we discovered there was so much more to see. The first gallery that caught my eye was the American Presidents Gallery located on the second level. At the top of the stairs is a huge painting containing four individuals and called “The Four Justices”. Depicted is Ruth Bader Ginsburg, Sonia Sotomayor, Elena Kagan, and Sandra Day O’Connor. Like every label in this gallery, it was super easy to read and understand. This one in particular had a lot of history woven into an explanation of the artwork. 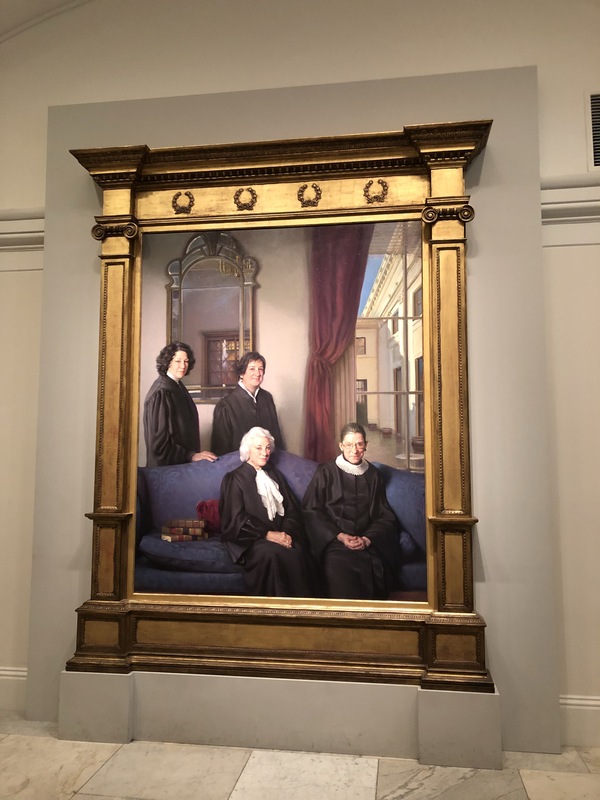 Each of the four outstanding women had a small biographical piece including their education, when they started serving on the Supreme Court and which President nominated them to the position. The first elected was Sandra Day O’Connor who was nominated by President Ronald Reagan. 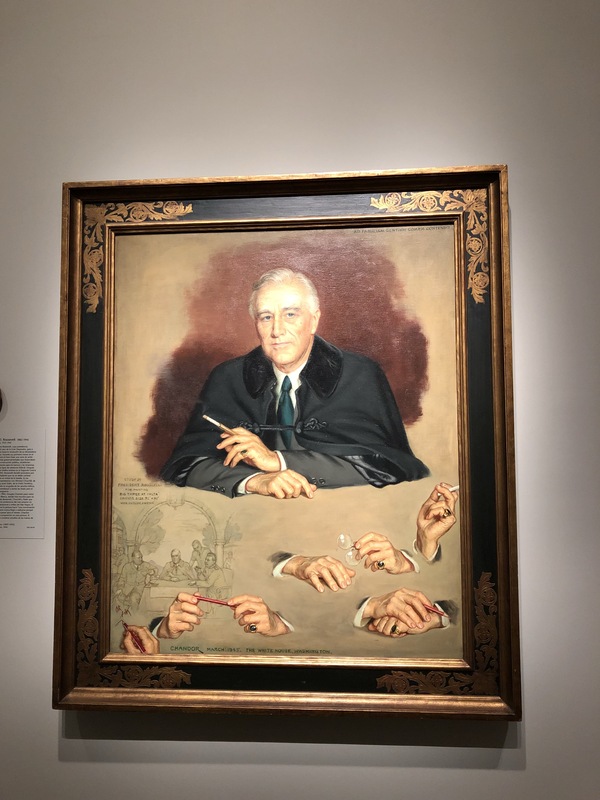 Having this painting positioned outside the portraits of the Presidents was so beautiful. Intended or not, probably not, it visually reminded visitors that it’s not just men, but also women who are integral to the political and judicial duties of the country. 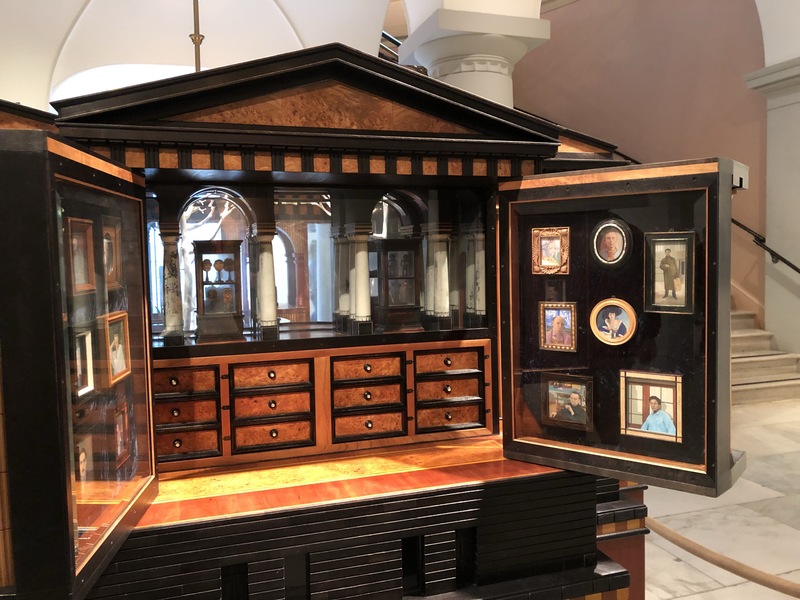 In the centre of this room is a beautiful model of the gallery including miniature paintings and sculptures created by David Beck. It was created to celebrate the re-opening of the gallery in 2006 after renovations. It references the history of the building by including old displays on the tiny walls. 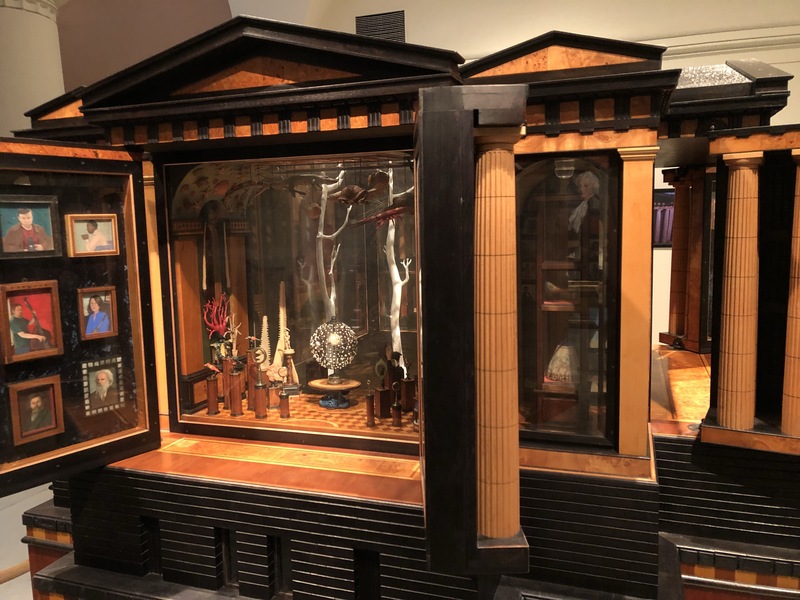 It was almost like a dollhouse museum and I honestly think it would look amazing in my apartment. We then moved through to the American Presidents exhibition. This continued the trend of including history alongside the art to really enrich what you were seeing. Each president had a brass number next to their portrait to indicate when they were in office. The introductory panel nicely sets the scene with a little commentary on the aim of the exhibition – to show the Presidents not only as individuals, but, as a collective. Wandering around, I noticed some “Adopt a Portrait” labels next to certain artworks. 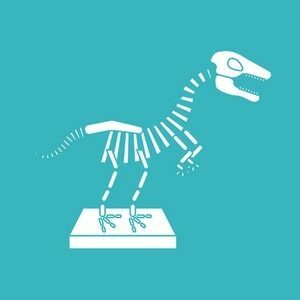 From what I could determine, the gallery has a pretty cool program where individuals or companies can adopt a painting. This means providing funds for when the painting needs conservation work. Speaking of labels, I was also impressed to see artwork labels in both English and Spanish. This is the first museum in America where I’ve seen more than one language in the physical exhibition space (and I’m not including maps or guides). Throughout the exhibition are large thematic panels exploring the changes in America from President to President. For example, there was a board which observed social reform between the Civil War and World War I. 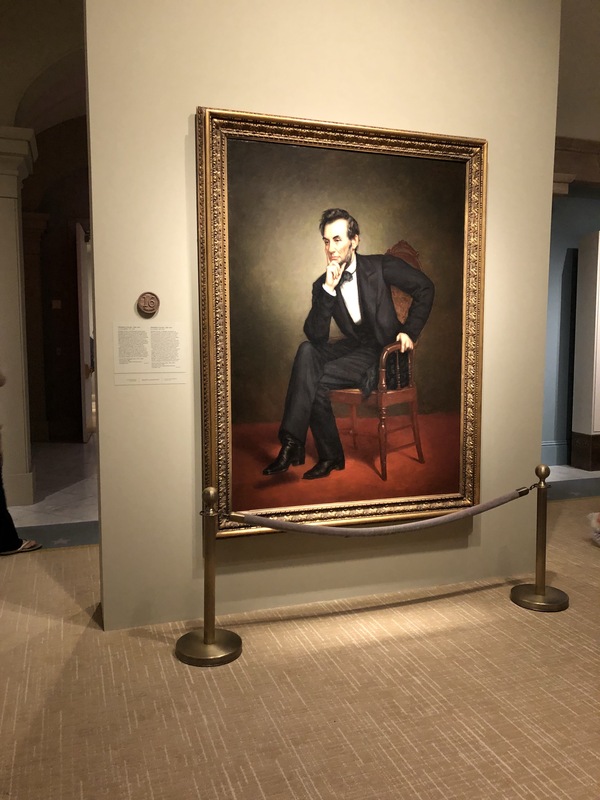 This was positioned after the portraits of Lincoln. The earlier portraits were very traditional and done in a similar style. 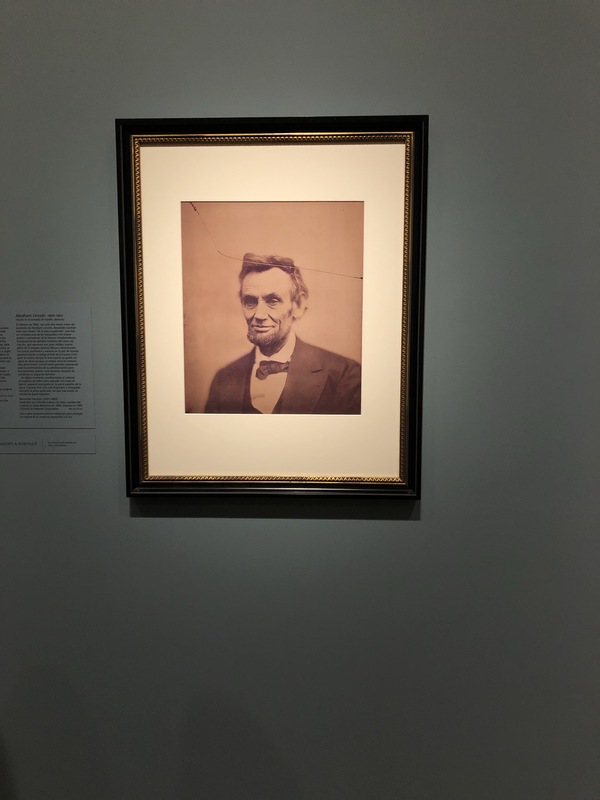 For Lincoln, they also included a photograph. Starting from Kennedy, the portraits became more diverse as some where done in an impressionist style and others looked quite abstract. 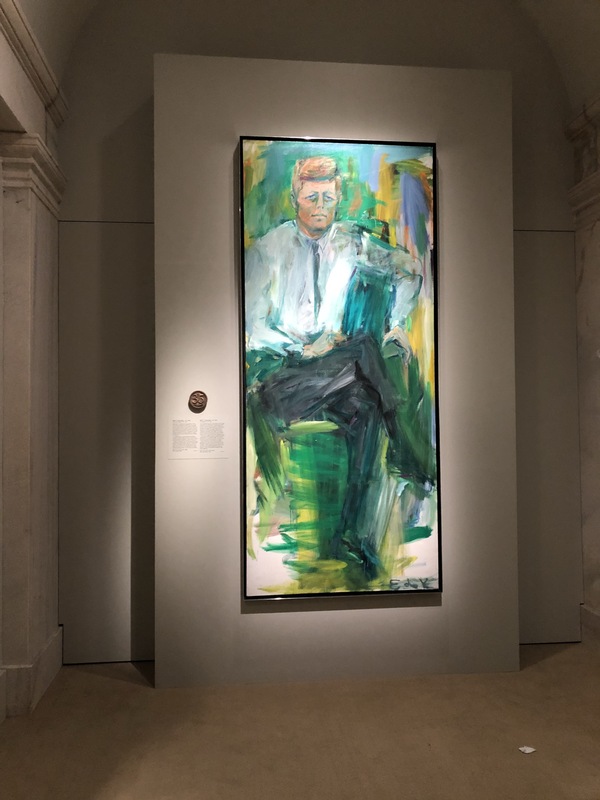 I wasn’t overly impressed with the portrait of Kennedy which was a shame considering he was the one I wanted to see most. My favourite was of Franklin Roosevelt. It had lots of little elements underneath his main portrait. I liked it because it captured the different sides of Roosevelt. It was also in a beautiful frame. After seeing the Presidents, we went on a quest to find Franklin. He was not highlighted in the map so I had to quickly Google where exactly we could find the work. There are two whole rooms called American Origins that have portraits of those involved in the War of Independence. This is where we found Franklin. We didn’t spend long looking at the other portraits inside this particular exhibition. The only other exhibition we really saw was on the American Civil War. There was a small book containing the portrait cards of Confederate Generals. We also walked past the wall of recent acquisitions which contained a small section on Lincoln’s contemporaries. 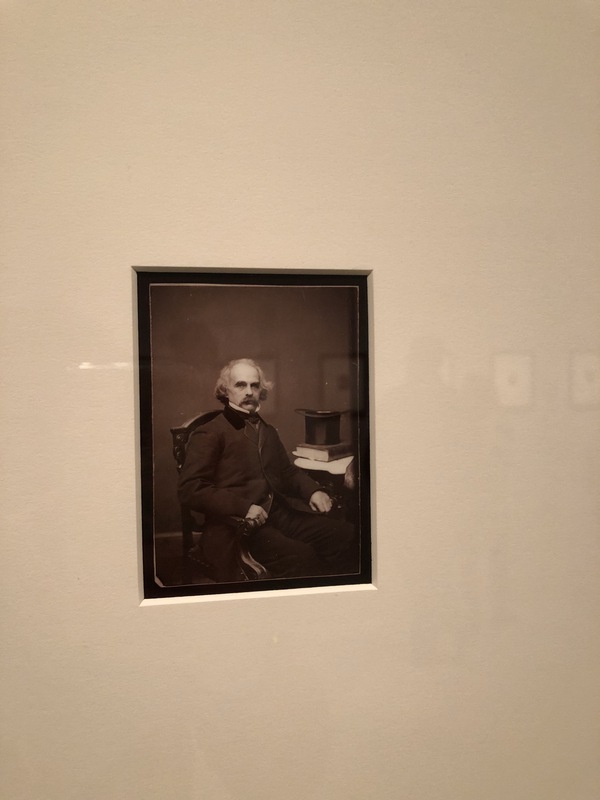 On display was a small photograph of Nathaniel Hawthorne, author of the House of the Seven Gables. 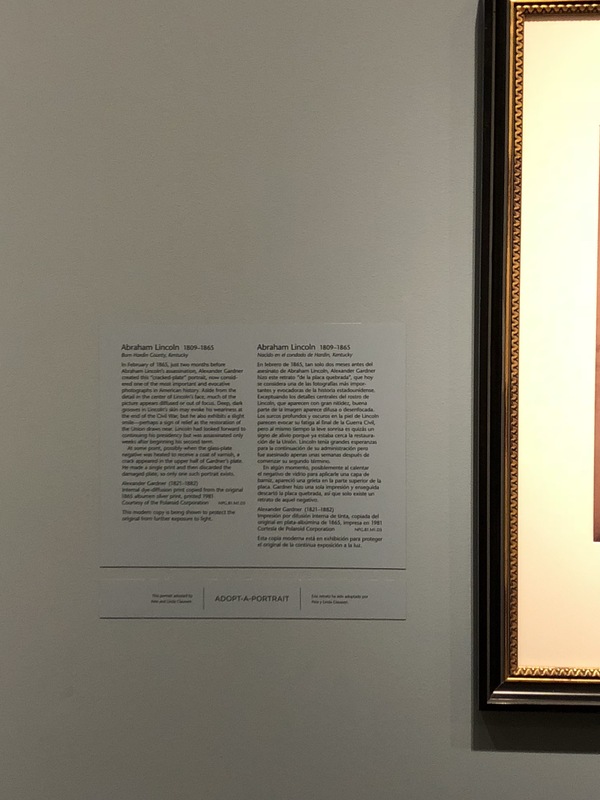 It was a very tiny photograph, but, great to see a piece of Salem in the gallery. I would recommend this gallery to anyone wanting to escape the National Mall. Actually, combine this museum with the National Museum of Women in the Arts and you’ve got yourself a relaxing art filled day!